Our experts offer wide-ranging experience in medical device software development. As a part of that focus, we recognize that different approaches are necessary for different types of projects, and we help you every step along the way to determine the best approach for your project. • In other cases, a customized approach, controlled down to the microcontroller level, and connected wirelessly to a PC / tablet running custom software, may better deliver the desired system level control (with the proper degree of risk mitigation) for that particular set of product needs. 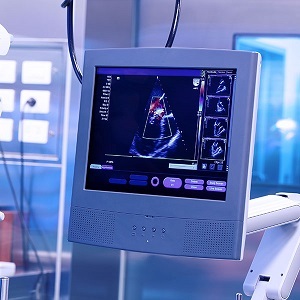 Genova Technologies' medical device software expertise solves design and development problems across the spectrum of the medical device lifecycle with prompt delivery of software applications for the intended use of the device. • Genova Technologies Engineering Services can help you address your process challenges at any phase of the Software Development Lifecycle (SDLC) process, whether your product requires legacy support and maintenance, a conventional design, or an advanced integrated architecture. • We help clients, ranging from startups to Fortune 500 corporations, in all facets of Class I, II, and III electronic medical device software development, by minimizing risks, overcoming time and budget obstacles, and maximizing chances of a successful FDA and EU approval process by doing things right the first time. Software development projects are often complex, multifaceted, and constantly evolving. Guiding these projects successfully requires sound team management and effective project controls. One of Genova’s unique strengths is helping manage programs from top to bottom. Our Project Managers follow Genova quality standards as well as customer quality checklists, and CMMI Level 3 processes. Our PM's are also PMP certified. We can also provide staff with Scrum Master or Product Owner certifications as needed. Genova is currently providing Product Owners and Scrum Masters for commercial clients in Agile software development environments. Genova’s ScrumMasters are mentors and active software developers, providing leadership by supporting the rest of the team. Our commitment to effective, streamlined project management offers a cost advantage, while improving communication to stakeholders and the delivery of software applications that are per specifications, on-time, and on-budget.